New beginnings, new Art work. 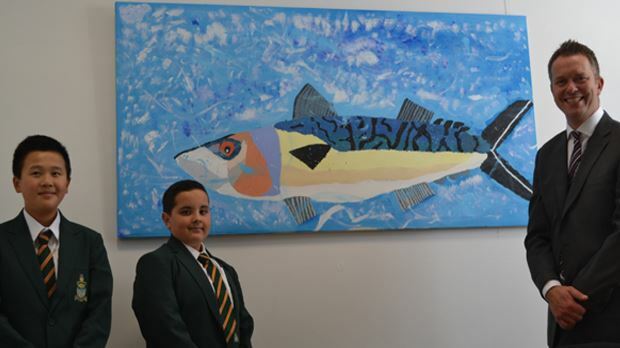 Two Year 8 students created this magnificent piece of artwork over several lunchtimes last year. I was pleased to choose this for my office as it demonstrates not only artistic ability but also their commitment to collaboration and working together. This week I have been following up with students on the top tips for a good start to the year which I communicated in our whole school assembly, how they can make it count in the first few weeks of a new academic year. Is it any different for a new member of staff or someone who is new in their role? Are you starting at a new school this year? Are you embarking on a new range of responsibilities? This explores the strategies needed that will really make your time count and contribute to future success. Along these lines I shared these tips with students, I am sure many of them would apply to students in your own school or even you as a Teacher. It can be a fresh start. Leave any negativity behind you. Be open to new ideas and new relationships. It starts today! Treat everyone equally, with dignity and respect. Get organised and be ready. Books, correct equipment, look smart (uniform), set up Google Calendar, Classcharts and Homeworky. Study hard in lessons and homework. Get active – sport and exercise. Balance multi screens & multi-tasking (switch off notifications), Connect with the present! Take on positions of responsibility. Have courage to take risks and to do things differently.